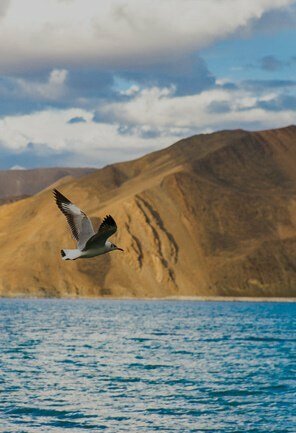 The modest of flamboyancy nestled between the two mighty mountain ranges is rightly called Ladakh. 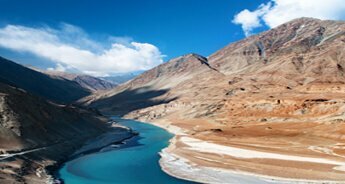 The land of jagged mountains, quaint monasteries, serene lakes and golden sand dunes assemble to an impeccable heritage. An effervescent destination that marks a magnificent culture, history, architecture and landscape offer an opportunity for photography tours all year round. 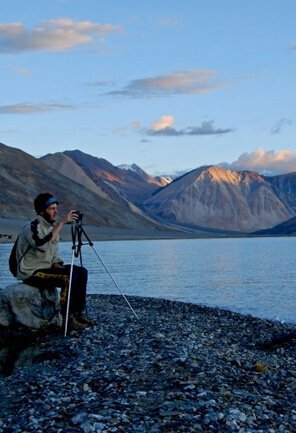 Capturing the vivid landscape and vivacious culture of Ladakh is reckoned to be a dream for any travel enthusiast. 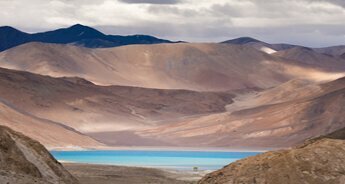 If you have a zeal for photography, then we have a well planed 7 days / 6 nights Ladakh Photography Tour that can meet all your needs and expectations. 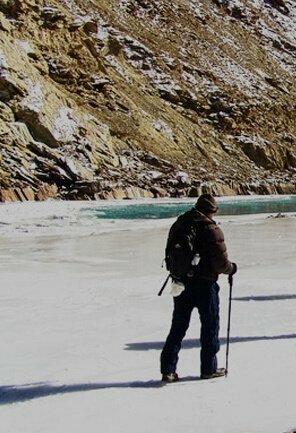 Our this photography tour package is especially designed for passionate photographers who have lust for capturing quaint villages, abandoned forts and diverse wildlife swathed with rich traditional aura. 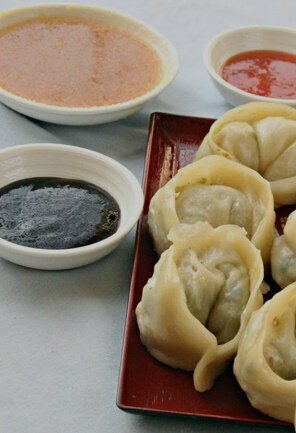 With this tour, you can collect various uncontrolled emotions, labyrinthine nature and the chivalrous locals in your camera and lifetime memories. 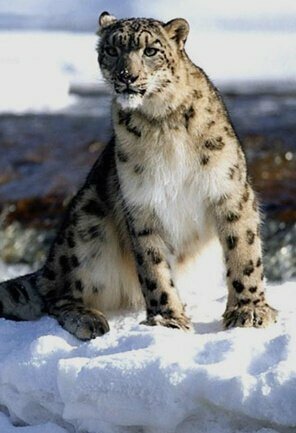 Relish a sightseeing tour to visit some primeval monasteries on this day. 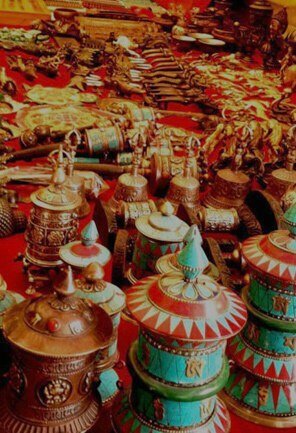 Located at 15 kilometers from Leh, Shey Gompa used to be the summer palace of the emperors of Ladakh. Around the palace, you will find scores of Gompas and Stupas. In the beginning of 17th century AD, Deldan Namgyal constructed Shey Palace. 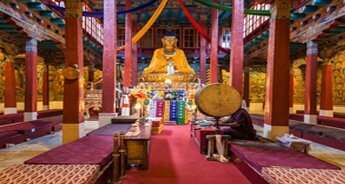 12-meter high Shakyamuni Buddha Statue is the prominent attraction of Shey. This statue is located inside Dresthang Gompa. 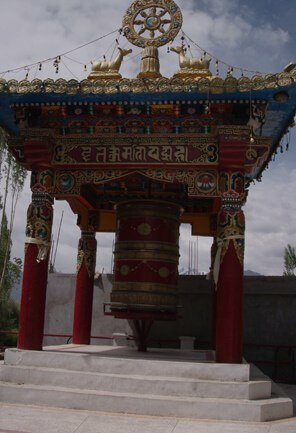 Thiksey Gompa is positioned at a distance of 17 kilometers from Leh and is near to Shey. 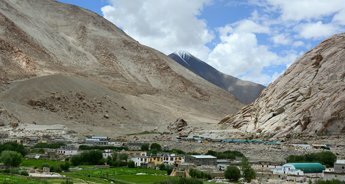 This monastery is counted among the most beautiful monasteries of Ladakh. Thiksey Monastery belongs to Gelukspa order. 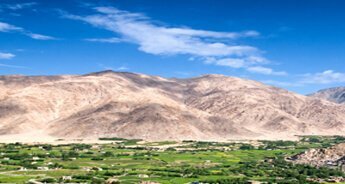 At the distance of 45 kilometers from Leh is situated the well-known Hemis Monastery, which is one of the largest and most popular monasteries in Ladakh. 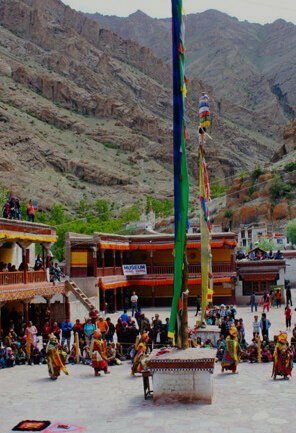 Hemis Monastery belongs to Drukpa order and it was constructed in early 17th century. Long Mani walls fronts the monastery cosseted in striking valley fringed by radiant streams. Have the overnight stay at the guesthouse. 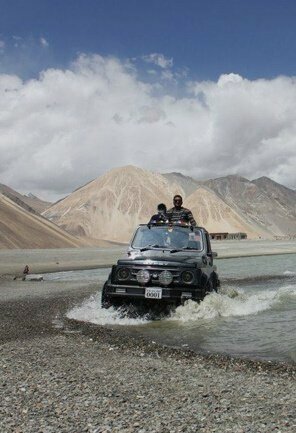 In the morning after breakfast, take a drive to Nubra Valley. 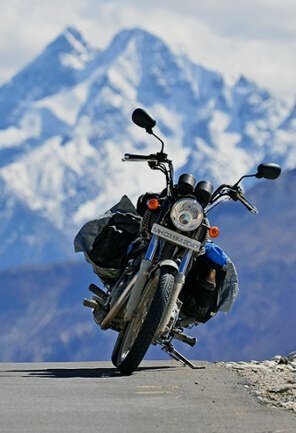 Cross the world's highest motor able pass Khardung la (18,380.fts). 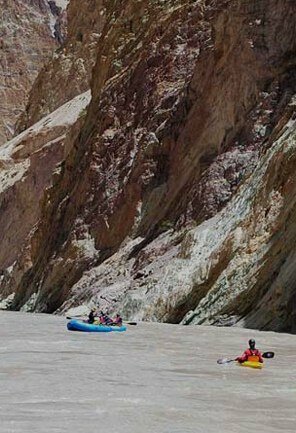 Come in the striking valley well-known for the primeval Caravan route to Central Asia and to places like Kashgar and Yarkand, the path was also known as the treaty road. 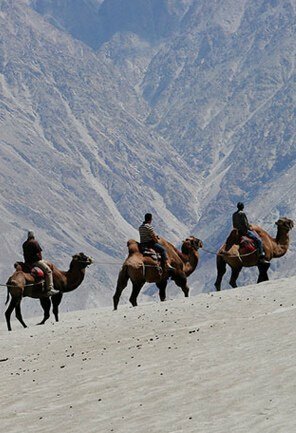 Nubra means the valley of flowers. Carry out the exclusive double-hump Bacterium Camel ride along in the sand dune. Overnight stay at Guest House/Camp. 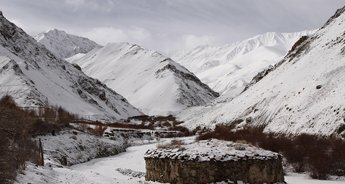 Drive back to Leh via Sumoor Gompa after breakfast. 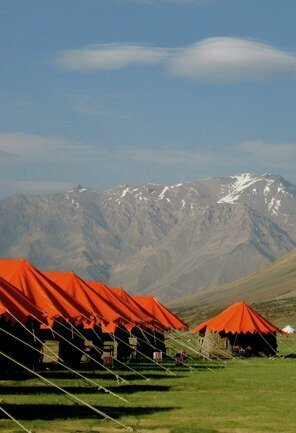 Stay overnight at Hotel in Ladakh. This day is meant for visiting several places. 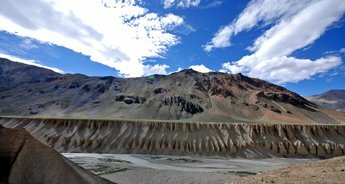 After breakfast, visit Spituk Gompa, Pather Sahib, Kali Mata, Magnetic Hill, Confluence of Zanskar – Indus river and Hall of fame. Stay overnight Hotel. 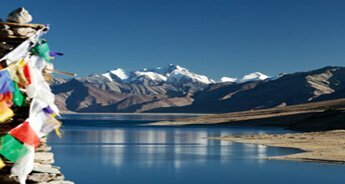 In the morning after breakfast, take a drive to Pangong Lake through Changla pass (5486 Mts.). 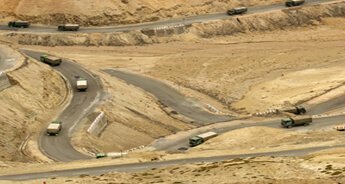 While climbing Changla pass, enjoy the stunning panoramic view of the villages below the pass. 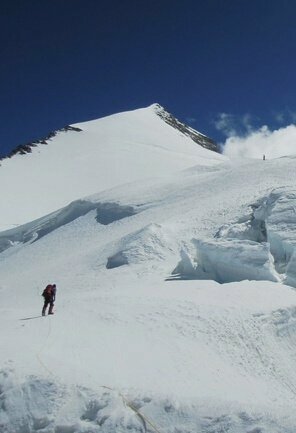 After crossing the pass, halt for picnic lunch at Tsoltak, which is the summer grazing land of the yaks. Reach Durbuk, from where a short drive will take you to the western shore of the Lake. Relish the panorama on the backdrop of the lake. 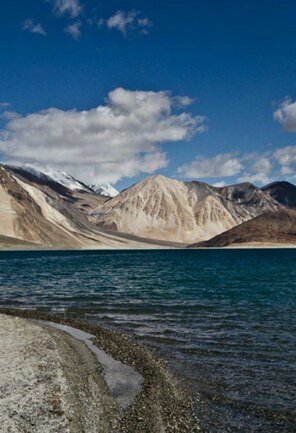 The famous blue brackish Lake of Pangong is 5/6 Kms broad and over 144 Kms long with half of it running the other side of the "INDO CHIANA BORDER". 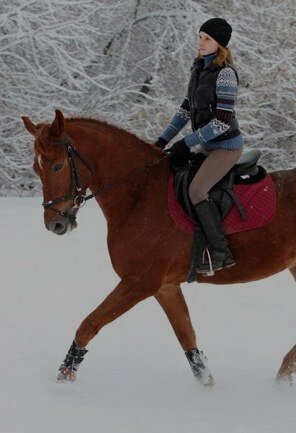 One hardly ever feels so close to nature and background as the scenery is remarkable. 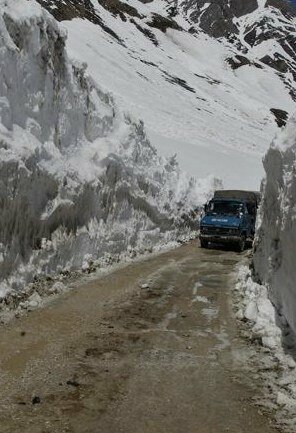 In the late afternoon, drive back to Leh. Overnightstay at hotel Leh. 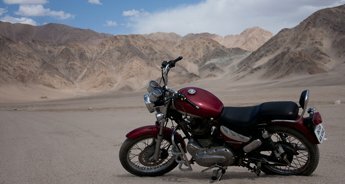 In the morning after breakfast, get transferred to Leh Airport and from here take a flight for Delhi.